Pissin' On The Roses: WIPP Electrical Design Flaw Lead to Nearly Catastrophic MidWest Airborne Plutonium Release, AND MAY YET STILL! WIPP Electrical Design Flaw Lead to Nearly Catastrophic MidWest Airborne Plutonium Release, AND MAY YET STILL! 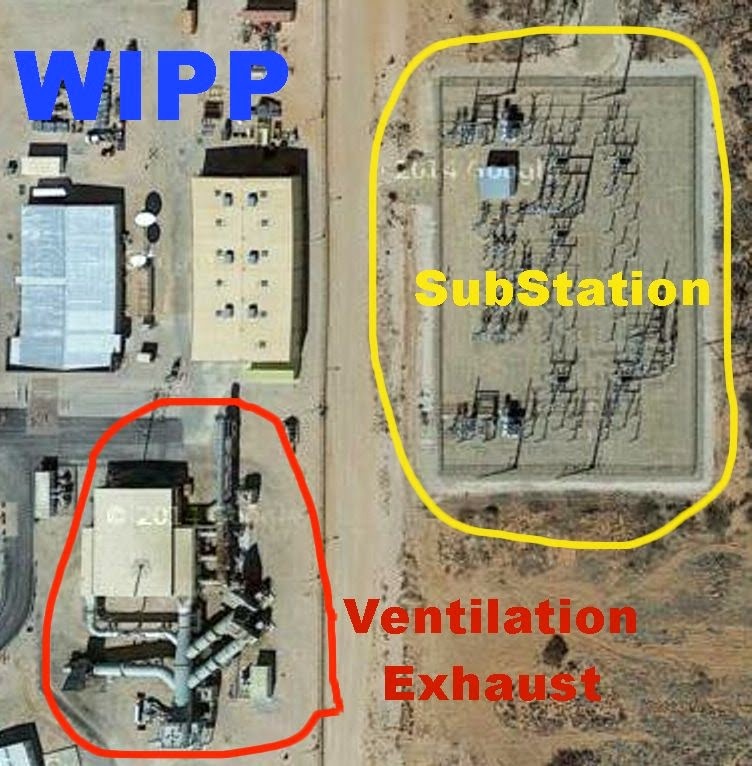 The Department of Energy's Waste Isolation Dispersal Pilot Plant [WIPP] in Carlsbad, New Mexico has a System of Systems design flaw which virtually guarantees that even a moderate underground fire affecting the nuclear waste will cause the facility to lose power, resulting in a massive uncontrolled release of Plutonium and Americium. This exact catastrophic situation had started to occur during the Valentine's day nuclear fire at the WIPP facility; when by the GRACE OF GOD, elevated wind speeds spun up and reduced the airborne Americium cloud's radioactive density. This act of Divine Providence served to lessen the Americium's ionization interaction with WIPP's electrical substation to the point where the electrical arc flashes were noted but power loss reportedly did not occur. 4) As happened on Valentine's day, Item 3 resulted in at least an hour long period of UNDETECTED Plutonium and Americium being discharged into WIPP's electrical substation, resulting in arc flashing. 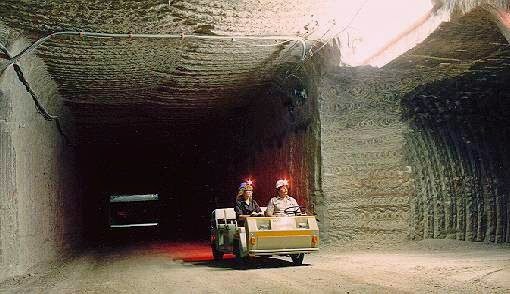 1) Difficult salt related environmental conditions at WIPP make it nearly impossible to operate real time underground radioactive air monitoring without a high level of perceived false radioactive alarms. It is exactly this condition which caused site employees to disregard the veracity of the radiation alarm until 11 hours after it sounded (when secondary manual readings confirmed the release). 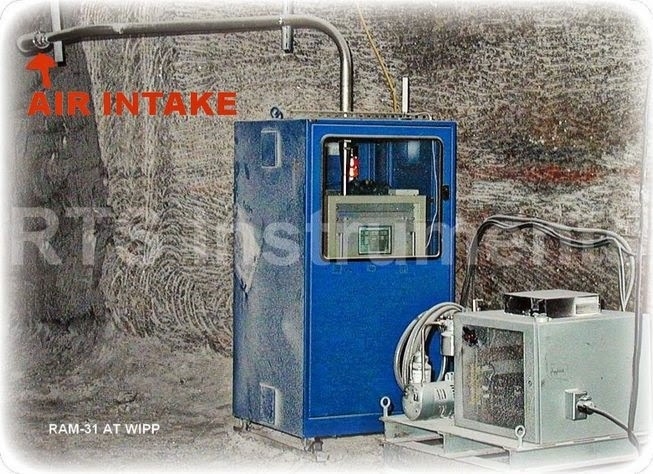 2) WIPP's plan to further increase underground ventilation rates makes real time underground detection even more difficult, and increases the chances of undetected stagnation pooling of radioactive materials at the electrical substation during no wind conditions. The MidWest nearly became uninhabitable on Valentine's Day, had wind speeds not picked up at the plant the facility would have lost power. It is possible the nuclear fire would have become naturally ventilated and uncontrolled, much like what happened on February 5th when an underground vehicle caught fire. In that same light, had the February 5th underground vehicle fire occurred in a nuclear waste storage area, the resulting burning nuclear materials would have released enough Americium to cause the electrical substation to shut down. That loss of power would have made it impossible to evacuate and or ventilate the underground. That loss of control would have resulted in the entire Midwest being contaminated in enough Plutonium and Americium that even the DOE would have a hard time covering it up. As it stands now, the Department of Energy has not publicly recognized any of these deadly design deficiencies; its unclear if they are acting out of incompetence or some twisted greater good concept rationalizing the risk away for National Security reasons. But one thing is for sure, if DOE does not relocate and / or further risk mitigate WIPP's substation the entire Midwest remains at risk. ...Potr....do you have an update on the ...MERS...case in the u.s....thanks..
"On April 24, the man flew from Riyadh -- Saudi Arabia's capital and largest city -- to the United States, with a stop in London. He landed in Chicago and took a bus to the neighboring state of Indiana. He didn't become sick until Sunday ... He went to the emergency room at Community Hospital in Munster the next day "
if you prepped for H7N9, you're well positioned for MERS. The only thing that even pops MERS up on our radar screen is that Hajj and Umrah are like 10,000 Disney Worlds on crack when it comes to spreading communicable diseases around the globe. But given that MERS has had atleast 2 full Hajj cycles without ending the world, its likely little immediate threat. Come October it will be wise to pay more attention to it because of the next Hajj cycle. In the mean time the report that a medical worker from Saudi Arabia came down with MERS and traveled to the USA, is of little concern (provided the story as told by the CDC is true). The thing to watch out for is that given the location and the religious and cultural aspects involved, authorities are liable to lie through their teeth about the situation to avoid offending someone. http://youtu.be/2LmzjPoDYZI. Now go to cod to see this storm system feeding.